This is Jason. 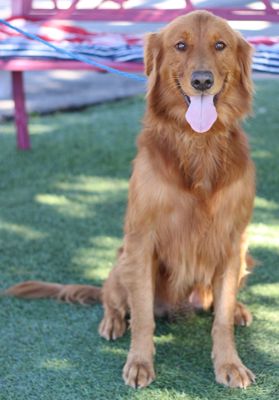 He is a beautiful, 5 year old Golden Retriever. He has a beautiful red coat. He is housetrained, good on a leash, good with other dogs, rides well in the car and loves to play ball. His owner is ill and not able to care for him. Jason is looking for a loving home.